On three consecutive days, at the beginning of November each year, Meiji Jingu holds its “Autumn Grand Festival”–AKI NO SAI.” This event is held in celebration of Emperor Meiji’s birthday and in honor of various deities. You can see traditional dances given as offerings for gods, Noh performances, and an amazing variety of martial art demonstrations. 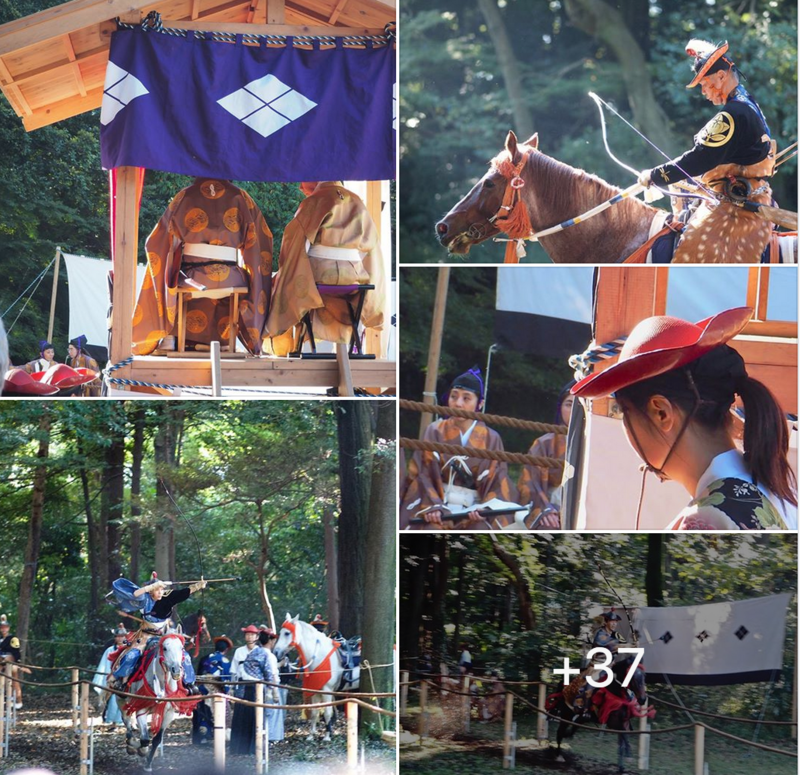 You can even see Yabusame (archery on horseback). This entry was posted in Outside Events and tagged festival, Shinto, Shrine. Bookmark the permalink.